It occurred to me recently that the phrase “aviation risk management” gets thrown around in many different contexts, both by myself and anyone else writing about aviation safety management systems (SMS). 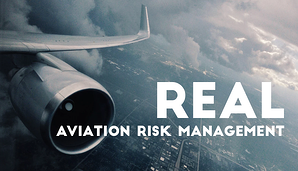 While “aviation risk management” gives the impression of being a single, solid idea – something to attain for – in reality, it is a phrase that means many different things depending on the context. Pulling the big ideas together is a critical step in recognizing the strong and weak points of your aviation safety management system. It gives long-term goals to push an SMS implementation towards. And it allows aviation safety management teams to focus energy on specific, definable aspects of safety in their SMS. Becoming compliant is the major goal of any new aviation SMS. It’s a huge first step. In many ways, reaching a healthy level of safety compliance is a strong indicator of a well-implemented SMS, and is a testament to an aviation safety officer’s ability to manage his/her SMS in a specific direction. Of course, compliance is only one step in a larger process of aviation safety. Where aviation SMS implementations and safety management get into trouble is accepting Compliance as the overarching end goal. Such a mindset only has the potential to cultivate a prescriptive SMS implementation, rather than a performing one. Of course, as aviation compliance requirements change, aviation SMS will have to find ways to adapt. However, the point is that in terms of aviation safety, compliance should be curtailed to fit the unique needs of an organization's safety goals and objectives, not the other way around. Complacency exists in every program. So it’s no surprise that organizations will have workers – or even struggle with a whole work environment – that is apathetic to any indication of a safety program. What is the difference between this "SMS fad" and a traditional safety program where management had little participation? From an employee's perspective, when there is a problem, ignoring it or pretending like it’s less of a problem than it actually is seems to be the easiest path. Such attitudes take time to replace and can only stall an aviation SMS' goal of continuous improvement. In this case, the "continuous improvement work" should be safety culture oriented. Successfully overcoming, converting, or working around complacency in aviation SMS requires that aviation safety management teams be aware and honest about the magnitude of the problem so that they can address it appropriately. The requisite employee behavioral expectations for the aviation SMS to function efficiently. relationship dynamics as an organization’s size changes. Ideally, documentation would be updated along with such changes. But let’s be “real” for a moment – it’s not exactly unheard of for an SMS' risk management procedures to be an improper representation of actual practice. Such organizations get away with it by instructing employees to do lip service to the documentation during audits. Of course, I would hope that most aviation SMS make a concerted effort to revise their “work as imagined” (safety documentation) to reflect “work as actually done” on a continual basis. This is critical because of technology has a way of catching up with us and an audit finding can be expected whenever auditors discover what is practiced does not align with documented risk management processes. There are no major dependencies on information flows. In so many words, what we are talking about is decentralization of safety information. For this to happen, management has to be committed to being keeping all except highly sensitive information open to everyone. A simple idea, a hard pill to swallow in actual practice. This is a big one – and you watch, this will continually be the “buzz word” of the future concerning aviation safety. In the past, aviation SMS were founded upon the idea of the Swiss Cheese model of safety, which functioned by eliminating hazards or “holes” in the fabric of the organization's risk controls. Modern aviation safety standards have come very close to what seems like the highest levels of safety possible – in terms of safety data. It seems natural then that proactive aviation risk management should focus on absorbing and mitigating issues when they DO actually arise. Safety managers are actively involved in understanding ongoing changes in the environment. Involvement can be encouraged or destroyed in many ways, but when discussing lack of "aviation risk management” and “quality aviation safety”, it is almost always understood that we are also talking about lack of and involvement. An organization may spend many years developing their safety culture, but it can be destroyed within a matter of months. Sadly to say, I'm currently seeing two, historically strong operators whose safety culture is weakening due to management change. In one case, an upper-level manager left the company, causing a major restructuring. The restructuring focuses on production and creating a company that is more interested in "doing things quickly" instead of "doing things right." This is a major risk also when safety managers or safety champions leave the company. An SMS can quickly die on the vine if there is nobody around to tend to the SMS. In the other case of the dying safety culture, this airline had incredible resistance to the aviation SMS in their early years. 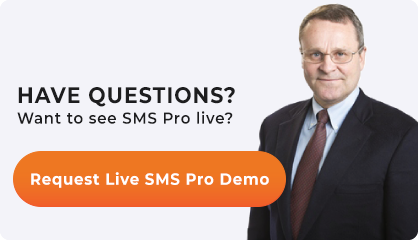 After ten years, management finally evolved to fully embrace SMS and this company ended up with a best-in-class SMS implementation. So noteworthy is this company that they had been repeatedly spotlighted in the press for their model SMS implementation. In this case, the company was sold. New management has arrived and they seem to be interested in grooming the company for a quick flip. Management's new goals and objectives are no longer aligned with the existing safety goals and safety objectives. This creates discord that is harming their safety culture. Outside technological influences - i.e. drones. Complexity should be encouraged, as complex systems often have many means of mitigating and absorbing problems. Complexity will continue to grow as yet one more aspect of what aviation risk management means. Published March 2016. Last updated March 2019.